It's been almost three years (!) since I first formed an opinion of this beer. The price has ticked up substantially, unfortunately; but, I'm just glad to be seeing this again because my opinion remains unchanged. 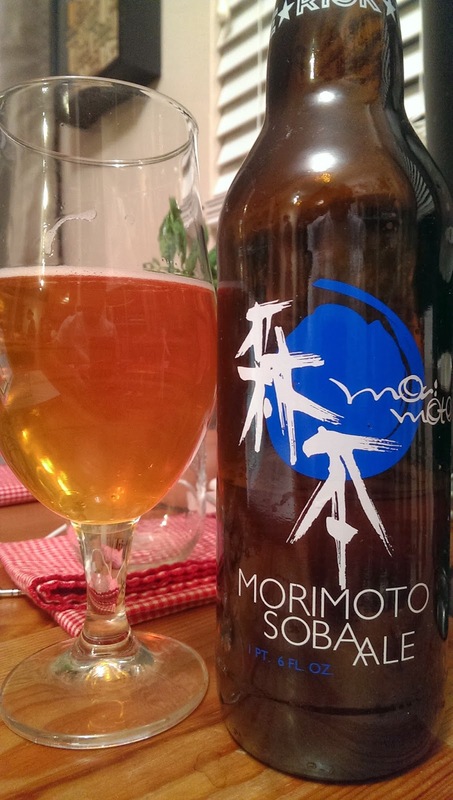 This is, simply, a fantastic beer that I wish was served at sushi restaurants. The soba adds, I think, a welcomed complexity to an otherwise basic beer formula that's already requires a delicate touch to get right (a basic, non-hoppy pale ale). Morimoto and Rogue have accomplished something great with this beer, which makes me OK with the whole "Free Range Coastal Water" thing. Yeah, seriously, wtf?